Mom made this dish all-the-time. I remember my dad coming home for dinner – donned in his white physician’s lab coat – taking out the electric knife, and carefully slicing the meat masterpiece, like a surgeon making the first incision. Mom would always stretch this meal out for as many days as possible. The next few meals would consist of cold steak sandwiches, steak n’ eggs for brunch, steak for dinner. 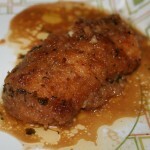 The best part of this dish is the mystery marinade (heated or cold). It preserves the steak’s flavor for at least another 3-4 days! We’d request this dish year round as it’s as flavorful broiled in the oven as it is grilled on a sultry summer night. I always remember Mom saving the extra marinade in bell jars, neatly labeled and put to freeze until the next use – sometimes lasting a full season! On any given day, you could open up our large freezer and see Mom’s bell jars lining the shelves like trophies. I realized when you’re not a cook, every part of the shopping- prep-cooking-serving process can be quite intimidating. In fact, even my trip to the meat counter was incredibly stressful. How much steak do I purchase for four people? What if they don’t have flank, is there a similar substitute? How much am I willing to spend? Lucky for me, the butcher around the corner at Citarella was beyond helpful (I strategically went at an off-time) showing me the flank and asking me for my opinion. Those kitchen-challenged, like myself, usually have duplicates of spices/flour/sugar because the idea of assessing inventory, to see what you actually have before you buy, doesn’t seem applicable. This is primarily due to a lack of confidence. We assume that we don’t have a well-stocked kitchen and need to purchase the requisite menu items. So, you can imagine my shock when I opened my spice cabinet and discovered that I actually own dry mustard?! Who would’ve thought? Then, I noticed I Slider1 am the proud owner of not one, but two boxes of Coleman’s Dry Mustard, both of which had never been opened. I’m convinced these relics must have traveled with me throughout each of my seven NYC apartment moves over the past 17 years. 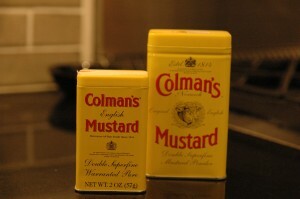 I never knew I was the proud owner of two boxes of dry mustard! With the shopping trip finished, next joyas thing I know, I am in my kitchen staring at the flattest piece of raw red meat I’ve ever handled and, I panic. What do I do with the meat? Do I need to season it beforehand and wholesale nba jerseys let it sit? Does it need to be spread out on the refrigerator shelf, because I have no room? One of the best and worst parts of this journey through Mom’s recipes is the realization that everything was written in short-hand code i.e. not much detail for those like me who need absolutely everything spelled out. 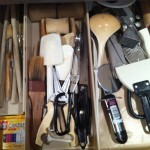 My cooking life-line is a skype to my sister Stacy (a true Judy protégé). Thankfully, her instant text back reveals some of Mom’s secrets—make the marinade, pour half into a zip loc bag with the meat, and let it marinate in the juice for at least 4-24 hours. Thinking about meat marinating in a plastic bag is certainly out of the realm of my novice thought but,genius nonetheless. Big Raw Flank Steak— dressed up and wholesale jerseys ready to broil! Four hours and two school pick ups later, it’s BROIL TIME. I don’t know how I had the sensibility to actually put down some tin foil on a broil tray but regardless, there’s still meat juice seeping all over the oven. My sister’s advice, to keep checking the meat to avoid overcooking, made me so nervous, I forgot to turn the oven on Broil and only set it to 250 degrees. Twenty minutes passes and my poor flank steak is still raw and angry. What’s Cookies wrong? Is it something with the marinade? OMG, did I overdo it with too much dry mustard? Does that slow down the cooking process? I panic. My kids are hungry. After 5 minutes of scratching my head I realize my mistake and quickly throw the meat back in to BROIL for round wholesale NBA jerseys two. There’s a lot of pressure for the now-overcooked piece of flank steak to measure up to “Meema’s Flank Steak.” All I’m focused on is my final step – Cutting Against the Grain. Ihad been over-instructed by both my sister and dad to make sure not to forget this one step or else the meat would be too tough and chewy. Luckily, as the slab of meat lay browned and sizzling before me, memories of hacking wood with a handsaw in sixth grade shop came rushing to mind. Hypnotically, I made the first cut (certainly hoping this meat wouldn’t taste like wood). I’m not sure what made me happier this evening: watching my kids take seconds, providing my husband a home-cooked meal or, finally having my own and labeled bell jars of leftover marinade– to date and put in the freezer. My first-ever labeled bell jar! 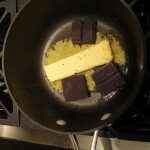 Place all ingredients in a blender or Cuisinart and mix thoroughly. 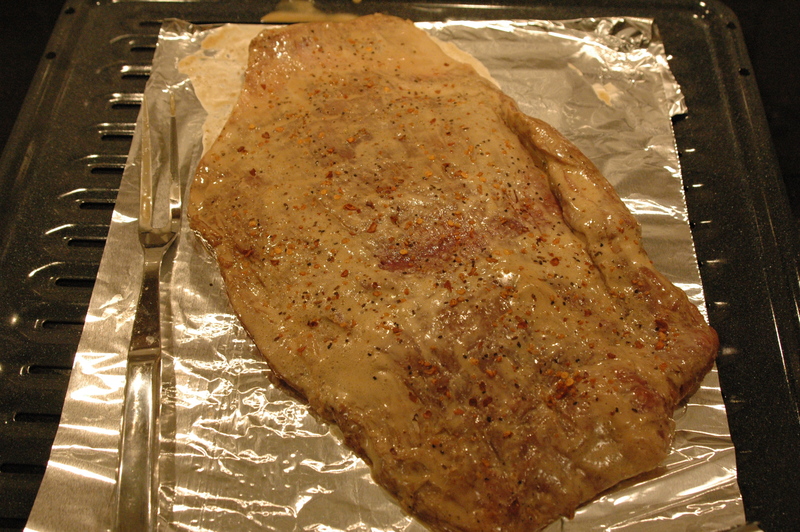 Place marinade and steak in Ziploc bag and refrigerate from 2 to 24 hours. 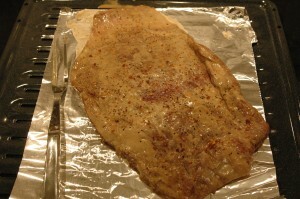 Broil Flank steak* wholesale MLB jerseys for about 20 minutes (steak will significantly shrink in size). Heat up extra marinade and serve on the side. 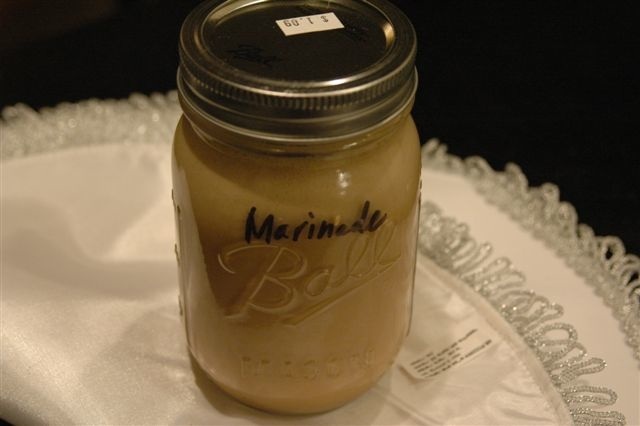 Place extra marinade in freezer— should keep for months! *ask butcher to weigh based on per person. this flank steak recipe is so close to the one my dad used to make years ago! Wow, you just brought back a ton of memories! I have to check with my mom about ingredients, but the dry mustard, too funny! I have two cans as well, a little goes a long way with that stuff! Love this site. Great job!!!! Shari……Reading your entries and (entrees!!!) I cant decide whether to laugh or cry. I am doing a bit of both while I am charmed all along the way. Your detailed descriptions of the past, your kitchen, and your Mom’s ways go straight to my heart…..and your humor, as always, is perfect. My only surprise is discovering what a fabulous writer you are. I love you all…..A. T.
Keep these going….as i’m sure you will. Is there a way to signal your followers when a new entry is made? Tammra Sigler » aunt tam – if you’re on facebook, you should get an update from me every time I post a new entry. I can also send one directly to your email…. so happy you’re enjoying. 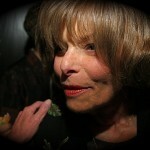 Spread the word….I’d love for Judy to live on in the hearts and kitchen of many many many people!